I was so excited to read one of the new Twelfth Doctor books! I chose one by Justin Richards because I had read a few of his Eighth Doctor books, such as The Burning, and really enjoyed it. Plus, this one features the Paternoster Gang, and Strax is always great fun. THE PLOT: A creepy carnival in Victorian England is the setting. A man is strangely murdered after beginning a letter to Vastra. A friend of Strax is also murdered, drained to a husk. At first, the two don’t seem connected, but of course they are. The Doctor and Clara show up to help unravel the mystery. The Doctor is enthralled by a strange shadow puppet show performed by a lady called Silhouette. A weird man hanging around the carnival also seems somewhat anachronistic, knowing things he shouldn’t for this time period. As they investigate, Clara, Jenny, and Vastra each meet people who seem especially sympathetic to them personally, but are these people really friends or foes? MY TWO CENTS: This was the first Twelfth Doctor book I read, and I felt that the author captured him very well. Newer fans could pick up this book and clearly know they weren’t reading about Nine, Ten, or Eleven. 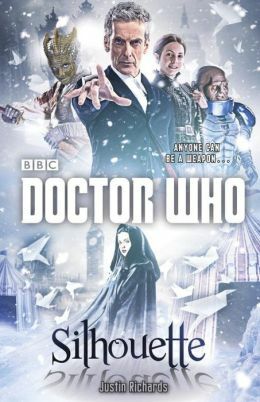 This book also seems to distribute well among Clara, Jenny, and Strax, so it’s not all “The Clara Show” as I felt the show sometimes became at the end of Twelve’s inaugural season. I did feel that Vastra didn’t have as much of a presence, but she was strong in the finale. I loved the idea of the paper origami birds that come to life. This is the kind of effect that works well in the a book, as the effect on film probably wouldn’t be as cool as what the imagination can conjure. The villain was the perfect kind of foe for the Doctor; totally selfish and destructive, and using innocent people to do the dirty work. Note that this is a pretty short book, clocking in at 258 pages. I read an ebook ARC and it definitely moved along swiftly. ON SALE DATE: The book is available now in trade paperback and eformats. Note: Review is based on an ARC provided by the publisher via Blogging for Books and Edelweiss in exchange for an honest review. I’m always up for a Tenth Doctor story, so requesting this ARC was a no-brainer. PLOT: This is a version of Cinderella, with all the details you expect to find in a Cinderella story, but a bit more menacing all around. And with zombies. And the Tenth Doctor. MY TWO CENTS: It’s a short story, so (duh) it’s really short. This is set at a time when the Tenth Doctor is companionless, so he’s on his own when he stumbles into the plot. This allows him to quickly (but lightly) bond with the protagonists. He certainly acts like the Tenth Doctor, which helps the reader believe in the story. On the other hand, you just don’t get much time to bond with the other characters, and yet that seems okay. BOTTOM LINE: A cute little story, but not super-special. The Cinderella connection is amusing, but it’s all just a pleasant diversion. If you’re missing Ten and want a little bit of a story, then go for it. If you’re looking for more character development, this won’t fulfill you. TEACUP RATING: I give it around three out of five teacups. I’m not sure I’d want to reread it, but it doesn’t stop me from looking into other Time Trips stories. 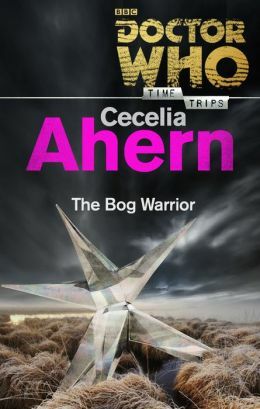 ON SALE DATE: The Ebook version of The Bog Warrior and other individual Time Trips short stories are available now; the entire Time Trips Collection will be published in hardcover on March 3, 2015. I, for one, was not very happy with the last Matt Smith episode of Doctor Who. The Doctor stayed on Trenzalore for NINE HUNDRED YEARS??? Okay, I get that it was partially because the TARDIS was stuck (thanks, Clara), but nine hundred years is almost the Doctor’s entire lifespan up to that point, spanning twelve different incarnations. So when we get acquainted with Peter Capaldi’s Doctor, the Doctor will be about 2,100 years old? And about 43 percent of his ENTIRE life will have been spent on Trenzalore! 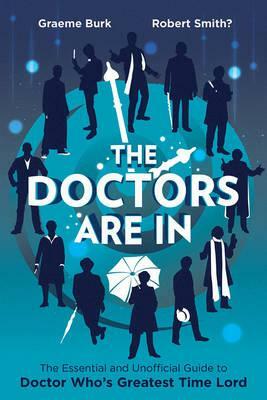 Think of all the adventures all the Doctors have had, and then imagine them ALL taking place on one planet. What the heck went on there for nine hundred years??? Anyway, I was interested in this book because I thought it might fill in some of those gaps. MY TWO CENTS: I was familiar with two of the authors from reading other Doctor Who books, but unfamiliar with the other two authors. It was an unfamiliar author’s story I liked the least. I think the stories were most successful when they showed the Doctor in action doing something, rather than told the reader what was happening. When the Doctor had someone to talk to, you got the flavor of the Doctor much more than when the narration told you what he was doing. I think the story I liked least had far too much “telling” and not enough “showing.” However, I do think all four stories portrayed the 11th Doctor authentically. BOTTOM LINE: I didn’t walk away from this book feeling that the gaps were filled, or even partially filled. 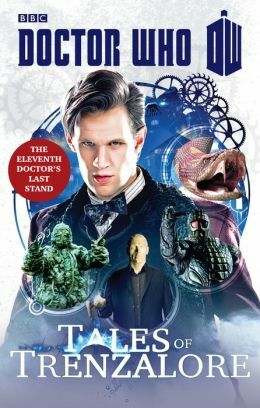 I would say it was because it was only four stories, but the thing is, how many stories can you tell of the Doctor guarding one planet, one town, from various monsters? Without the TARDIS? without a “permanent” companion? It was an interesting read, and not painful, but not fulfilling. It didn’t give me that “Oh, so that episode WAS okay after all!” feeling I was hoping for. Maybe my perceptions of the episode made me expect too much from this book. TEACUP RATING: I do give it three out of five teacups, because the stories were well-written and captured the spirit of the 11th Doctor. But I didn’t love it, and really recommend it only for die-hard Doctor Who fans (more specifically, die-hard 11th Doctor fans). ON SALE DATE: E-book version is already available; paperback will release on July 3, 2014.